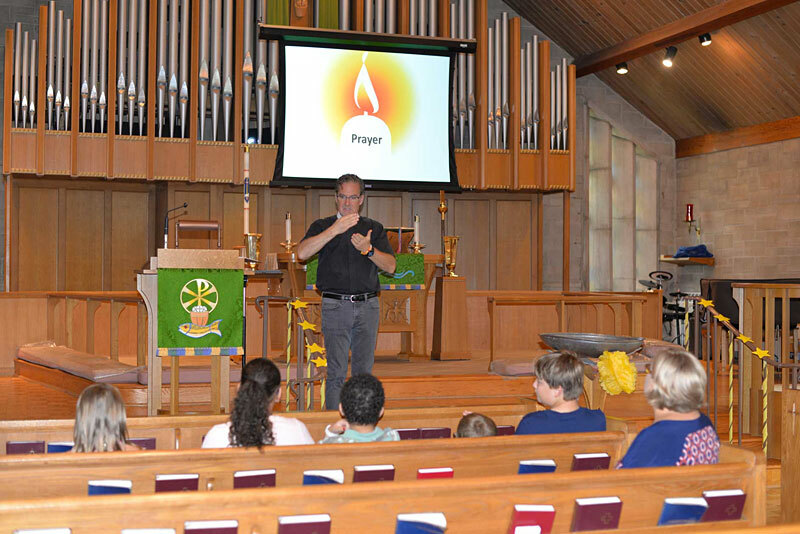 Summertime children’s program focused on Bible stories in American Sign Language. Gospel Hands Bible Camp is an exciting 3-day program being offered this summer by Lutheran Friends of the Deaf. This unique day camp for children will feature Bible Stories in American Sign Language and curriculum written by Deaf Christians. With a generous grant from the Lutheran Church Missouri Synod (LCMS), LFD was able to develop and launch this special program. LFD also teamed up with the Lutheran Women’s Missionary League (LWML), who awarded a grant that funded the development of “Bible Story Books”—a series of 12 written and ASL Bible Stories for children. Using the Bible Story Books as the basis of the curriculum, LFD will bring the Gospel into the lives of children by combining American Sign Language, expressive artwork, the written word and video.